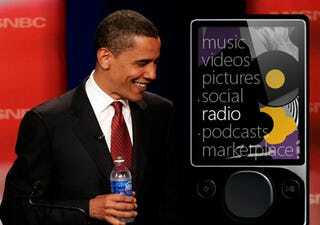 After all of the misinformation and dirty lies spread about Obama over the course of the presidential campaign, this is the most shocking I've heard about him: He uses a Zune. This can't be possible. Why? Because, as has been widely reported, Obama, many of his staffers and Joe Biden use a Mac. And well, Zunes don't work on Macs and ... my mind is blown.